Make your cake.. AND EAT IT TOO! 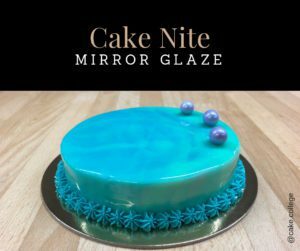 Unleash your inner cake decorator at our Cake Nite | Mirror Glaze classes. Learn to make, colour, use and store white chocolate mirror glaze. With it’s mirror like finish not only does it look amazing it tastes even better! *This purchase covers two tickets to the class and does include two cakes! Refreshments are provided complimentary. Cook together! Turn the mundane into a delightful experience with a hands-on cooking class for the 2 of you. Chose from a large variety of themes, cuisines, and subjects, and select the date that works best for you both. This (no cash value) product can be redeemed for most* off our regular Hands-On cooking class. Please note that some specific classes may not be entirely covered with this product and that additional fees may apply. Couchlock Clothing Club, a streetwear brand formed in the heart of Calgary brings YYC a live concert featuring local headlining artist MargielaMax, with opening sets by Black$tar, Deezy, Kayo, Masonn Deforest, and Boymalice. This is Calgary’s biggest release party this spring! A free t-shirt is also included with each ticket, which can only be exclusively obtained by attending this event. Limited tickets available for purchase. *$4 Highballs before 8:30 and $5 Beers all night, bottle service is also available!